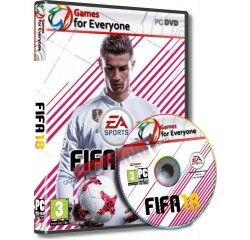 FiFA 18 - R260,00 : Game Hunt, Where we lead, others follow. Real Player Motion Technology. The all-new, game-changing animation system utilizes pose trajectory matching on every frame to deliver the franchise's most responsive and fluid gameplay ever. New motion capture techniques and frame by frame animation transitions ensure gameplay accurately represents the reality of football. Player personality. For the first time ever, real-world movements, size and attributes inform how a player moves, allowing you to feel the life-like tendencies of the world's best. Ronaldo's signature sprint, Sterling's unique turns, and Robben's distinct arm movement are all immediately recognizable in FIFA 18. FIFA Ultimate Team. Build your very own Ultimate Team Squad from thousands of players in the most popular mode in FIFA. The best of the best are coming to FIFA 18 with FUT ICONS. Play with the most iconic legends of football including Ronaldo Nazario, Maradona and Pele. Discover new daily Objectives, compete for weekly rewards in Squad Battles, and watch the world's best on the Champions Channel! Processor - Intel i3 6300T or AMD Athlon X4 870K® or equivalent AMD® processor.